Enter Thailand on the Volunteer "O" Visa. Are you a current classroom teacher or hold at least a Bachelor’s Degree in Education? This program is an excellent opportunity for global teaching experience to enhance your career while getting paid a cash stipend. Teaching abroad in the summer is a fun way to be a paid English teacher in Thailand with GeoVisions Foundation. Spending 7 weeks (including orientation) teaching in Thailand can enhance your teaching career. It is also a fantastic opportunity to make a difference in the lives of others while experiencing the rich culture of Southeast Asia. Also, think about what you’ll bring back to your classroom at the start of the school year in your homeschool. Since we use rolling admissions, you'll want to secure a spot as soon as possible. Not included. Teachers enter on the "O" visa. Visas can be taken care of in advance of arriving in Thailand. GeoVisions will supply you with the support documents to apply for your visa in advance. Citizen of US, Canada, UK, Ireland, Australia, New Zealand or South Africa. TEFL/TESOL Certification strongly preferred but not required, especially if you are a classroom teacher. Teaching experience, if you are not-yet graduated, your required student-teaching for certification is also acceptable. The fee you pay to teach in Thailand in the summer goes to our 501(c)(3) non-profit public charity, The GeoVisions Foundation. Be sure to speak to your tax preparer to see if any of these fees can be deducted as a charitable donation. This is a teaching position in Thailand that involves teaching English in a real classroom in a real school. You will not earn a full time teaching salary because you’re coming to teach in the middle of Thailand’s school year and you will be leaving before the school year ends. Rather, you will earn a stipend that is designed to assist you in paying for your meals and accommodation. The stipend is provided at the end of your program. You will not receive National Health insurance, but you will have sickness and accident insurance from GeoVisions (US citizens only). You will not open a banking account (as you would if you were teaching a full academic semester or year) but will be paid in cash. The stipend can run approximately USD $800+ paid at the end of the program in local currency. So do come prepared to pay your rent and food in advance of your first stipend payment. Although this might not sound like much for Westerners, this is more than a full-time Thai teacher would make, and you can live well on this amount of money in Thailand even during your time there. An experienced U.S. based GeoVisions Program Manager who will serve as your coordinator and liaison with our in-country staff in Thailand. Professional, locally-based staff to provide orientation, supervision, and guidance throughout your stay. Medical and accident insurance along with emergency evacuation insurance for US permanent residents. Important documents, including pre-departure packs, orientation information, and all in-country informational materials. Five days of orientation to include extensive Thai culture and language orientation program that covers Thai history, politics, geography and culture, all taught by area experts. Accommodation during your orientation, group activities and excursions. Teaching assignment with a screened school along with a “thank you” fee provided by the school at the end of the weeks of teaching. Local airport pickup is provided. Comprehensive peer lesson plan resource. Alumni teacher network and events. Meals. Budget around $300 for the month for food, depending on your standard of living. Accommodation is included during Orientation. While teaching, your school will assist in finding accommodation (not included). Visa costs for the "O" visa. How does the application process work for the summer program? To apply, you must complete the online application and submit the required documents. Once your application has been submitted, your Operations Coordinator will provide you with a list of documents required for the program. We will then submit your completed application to our Thailand office for approval. Within 1-2 weeks after we send the documents to Thailand, you’ll know if you’re accepted to the program. A color copy of your passport. What documents will I need with me when I arrive Thailand? Your original University Degree Certificate or Original University Degree Transcript. If you do not feel comfortable bringing your original diploma, you can bring a notarized, stamped copy. It is more difficult to place friends and couples in the same school. Since this is a shortened summer placement, we do have friends who do come together and we are able to place them near one another. Yes, you will be picked up at the Bangkok International Airport if you arrive within 4 days of the Monday orientation. You are brought to a local hotel and the group is picked up for the start of orientation on that Monday. How will I get from orientation to my placement? You will have assistance arranging your transportation and travel plans by bus or train to your placement. You will receive a stipend at the end of your program that can offset your rent as you would in your home country. School staff will assist you in finding accommodation near your school. Please keep in mind that housing in Thailand might not live up to your current standard of living at home. In some towns or locations there are not as many housing options available. Accommodation will typically be Thai-style studio apartments with private bathrooms, or in a shared townhouse with your own room. There will be an A/C Unit or fan, hot water, a double-sized bed and closet. Extra amenities like refrigerators or TVs can typically be rented from the landlord. You will pay your monthly rent directly to the landlord. Unfortunately, with consideration to visas, childcare (even during orientation), and schooling, children would not be able to accompany a teacher. What is the likelihood of other teachers being in the same accommodation? No teacher will be required to share a room, but it will be likely that teachers will be located in the same complex. However, this is not guaranteed, as it will depend on the placement. Beds and other furnishings are provided, but bedding is not. You can either bring your own, or buy some in Thailand to save space in your luggage. When will I find out where I will be teaching – prior to arrival or upon arrival in Thailand? When possible, GeoVisions will provide you with information in advance of your departure from your home country. Typically, placements are provided during orientation. Placements are made in Kindergartens, Primary, and Secondary schools. Age can often be a deceiving indicator of English ability among Thai students. For planning purposes, we recommend preparing your expectations for lower ability students ranging from elementary to advanced beginner. Will teachers be teaching alone or will there be assistant teachers? 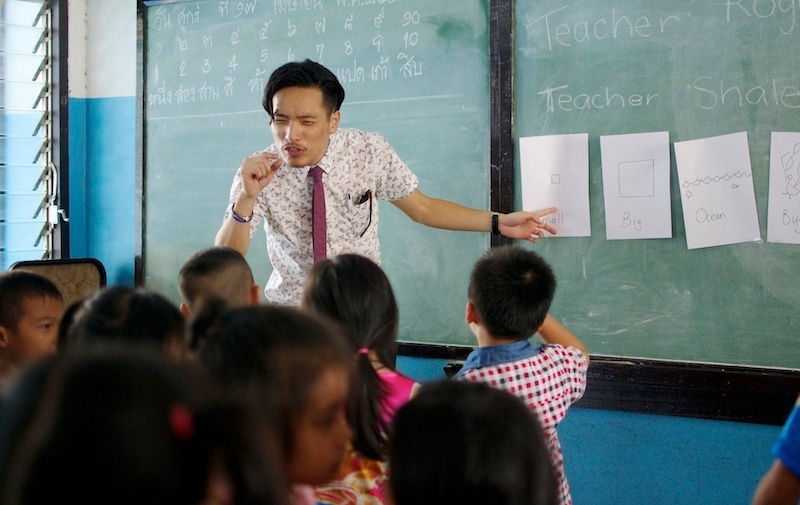 Some private primary schools will have Thai co-teachers, but it is best not to expect a co-teacher – you will likely be leading your class on your own. How many students will there will be in a class? The maximum will be 50 but the average will be 20-35 students. How many hours per week will teachers be contracted to work? The contract will state that you need to be at the school from 7am until 4pm or 8am to 5pm. Teaching hours will be between 18-24 per week. Many schools might let you leave a reasonable amount of time after your last class (2:30/3:30pm) but that is dependent on the school. Therefore, the contract will read 7am-4pm and 8am-5pm. Are teachers provided with Thai lessons from the schools? Not officially or formally. But for anyone who wants to learn Thai, you will find everyone around you more than helpful and encouraging! What should I wear when I’m teaching? Think lightweight fabrics, as it gets very hot and humid in Thailand! You will be provided a "how to dress" document prior to going to Thailand so you can pack accordingly. Thailand is an incredibly safe country to visit in terms of the crime, illness, and general hazards. Malaria is one of the main concerns for those traveling to Thailand, however it is very uncommon. You should consult your doctor before coming over as to the appropriate precautions to exercise for preventing illnesses of any kind as well as for their recommended inoculations. How much will I be paid to teach in Thailand? For summer only teaching placements, teachers will be provided approximately US$800-1000/month as a “thank you gift” from the school at the end of your teaching position. You are technically a volunteer teacher that will receive a stipend at the end of the program since these positions are for teachers with teaching experience. Is it expensive to live in Thailand? Thailand has very low cost of living; however, it really depends on your lifestyle. Food and accommodations are extremely affordable but things like running your air conditioner 24/7 can run up your electric bill. Over the years we have met teachers who have had horrible experiences when they think they are going into a fantastic overseas teaching job only to find out they are not going to a real school, but a corporate school and not a true International school. They have been caught in a signed contract without having visited the school or met the administrators. Where do they turn without a support team who’s only job is to look out for you? At GeoVisions, we have pre-screened the school and the position and in most cases, we have placed teachers at that school before. We make sure you’re being paid the highest thank you gift from the school as possible. We provide a formal orientation, starting when we pick you up at the airport. You will learn survival Thai language. You will meet other teachers just like you the day you arrive. Start enjoying the GeoVisions safety net immediately. We help guide you with your visa, your formal documents and we make sure your new school is ready to receive you. One question we often get is whether it is possible to teach in Thailand with a friend, family member or significant other. The answer is absolutely! Finding placement for two or more people in the same school or area makes the task of job placement more challenging and tends to narrow the placement options, however, if you are open-minded to location and age group, and do not have narrow preferences, we have a very successful track record of placing friends and family if not at the same school, then certainly in the same town. As you view more photos and video, consider the program benefits. A second home with new friends, becoming more independent and confident, improving your Thai since you're now living as a local and helping your community and students realize their goals of speaking English. Add an international reference to your resume which helps with future job applications because of your experience teaching English in a community in Thailand and you're ahead of the game. A group of summer teachers during orientation. Having a great laugh with a student. A group of teachers spending free time together on a weekend. There is time during the week to meet up and have fun. The best teachers create excitement in the classroom. This program was not only a month of fun, touring, teaching, and excitement, but one that really opened my eyes to the world around us. The program kept us going and experiencing all that Thailand had. We did everything you could think to do during our time there. Teaching the kids was an incredibly rewarding experience and I will never forget the joy on their faces seeing us at the school every morning. I loved how we also worked with organizations to help them solve real problems that they are dealing with and help them with the solution implementation - the "fieldwork" set-up went beyond sitting in a classroom and working on a case study. They program had the perfect balance of work and play! 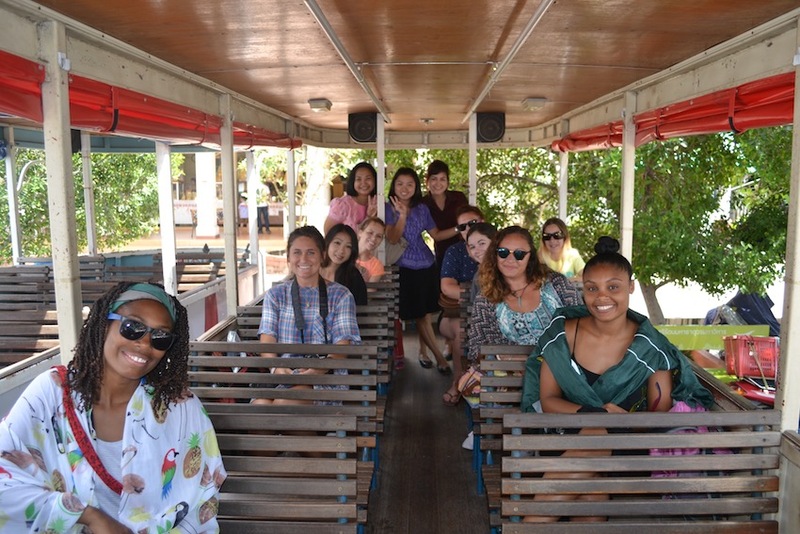 We got to tour the area, enjoy the food, and culture that Thailand is! Leaving was definitely hard and I hope to return soon. Thailand is an incredible country, and through my program I had an amazing opportunity to gain experience teaching and provide a wide range of English skills to my students. As long as you have an open mind, and aren't afraid of occasionally feeling awkward with not only a language barrier, but a cultural barrier, there's no shortage of new experiences and adventures you can have! During my time here, I found most Thai people are appreciative of the fact that you're putting in the effort to even learn the language. A great way to help you learn about your host country is by visiting the many beautiful temples. I have done this in both Chiang Mai and Bangkok and felt it helped me to understand the rich culture and history of Thailand. I have had incredible support from the beginning of my program, from teaching strategies to feeling safe exploring on my own. During my free time I have even been able to attend music festivals and visit Pai, Khao Yai, down south on the islands. There's certainly no shortage of adventure in Thailand! "I have been able to meet a lot of friendly people that will go WAY out of their way to help me. You just have to use your extra best judgement to know who is worth your time and who is not. And don't overcompensate for being a foreigner by smiling and being extra friendly (as a female).There are a lot of opportunities to travel. I have yet to see Phuket, but have been to Phung Nga and Koh Luk.I have a broken arm and the cast won't come off until the end of the month (hopefully), so until then I won't be doing much traveling. After a few more months I think I will head up north to check out some of the areas up that way. I am considering volunteering in an elephant sanctuary for a few months before leaving Thailand. 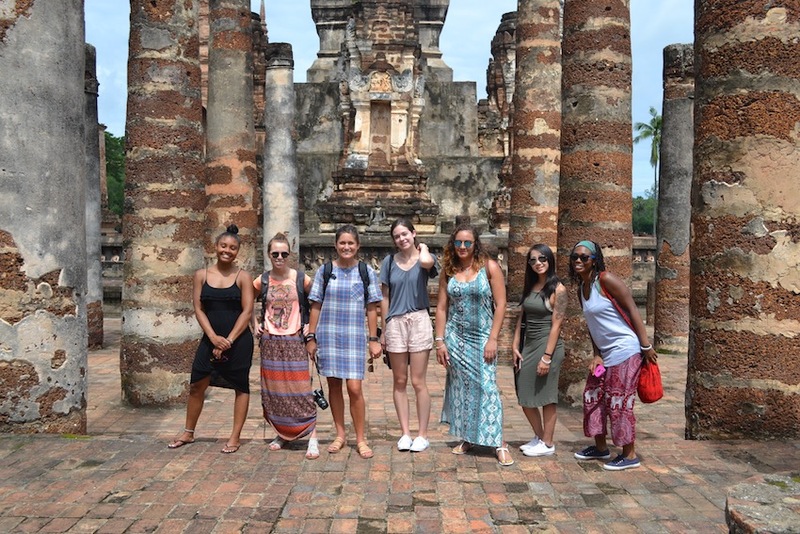 So while teaching is going really well, so is the opportunity to experience all Thailand has to offer." 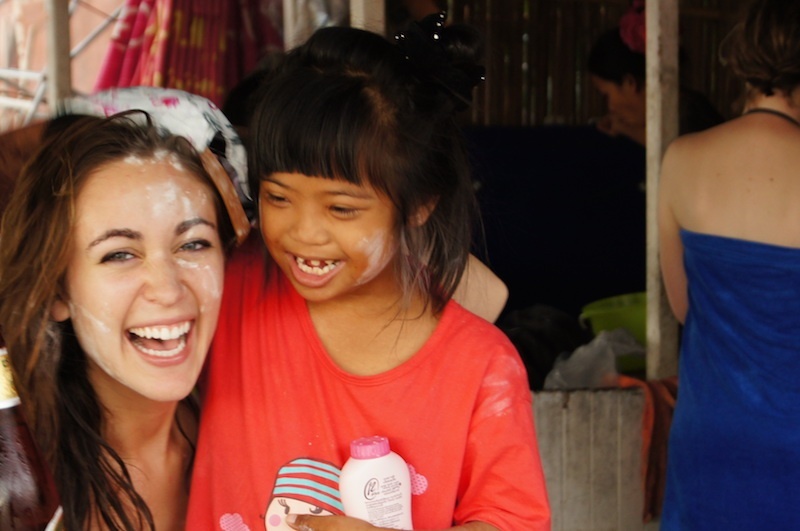 I had an amazing experience teaching in Thailand, the school, children, and community I was in was absolutely wonderful! Everything about Thailand is breath taking and amazing!! "The experience is ultimately what you make of it. I'm 33 years old with 11 years of urban teaching experience, and teaching in Thailand was just what I needed. I was growing tired of the increased pressure, and generally toxic culture that has been plaguing urban education for the last decade. I needed a change of pace, a different perspective, and a newfound sense of appreciation for the profession. My Thai experience provided all of it. But as anyone with enough teaching experience knows-- flexibility is key. I was placed in a nice small city between near central Thailand with just the right balance of rural and urban. My school staff was welcoming, supportive, and simply excited to share their home culture. Teaching methods, schedules, and norms were a bit different but also refreshing. I quickly adapted and adjusted; learning to let go of your norms and going with the flow helped ease the transition. Students on campus were incredibly welcoming and respectful throughout, even if I wasn't their teacher. I was exposed to a level of respect and appreciation that I forgot existed. Overall, the experience was quite different from the westernized norms we've grown accustomed to. But if you are flexible, open to new experiences, and willing to break away from your comfort zone, you may find that the journey is just what you need to help you rebalance your life."